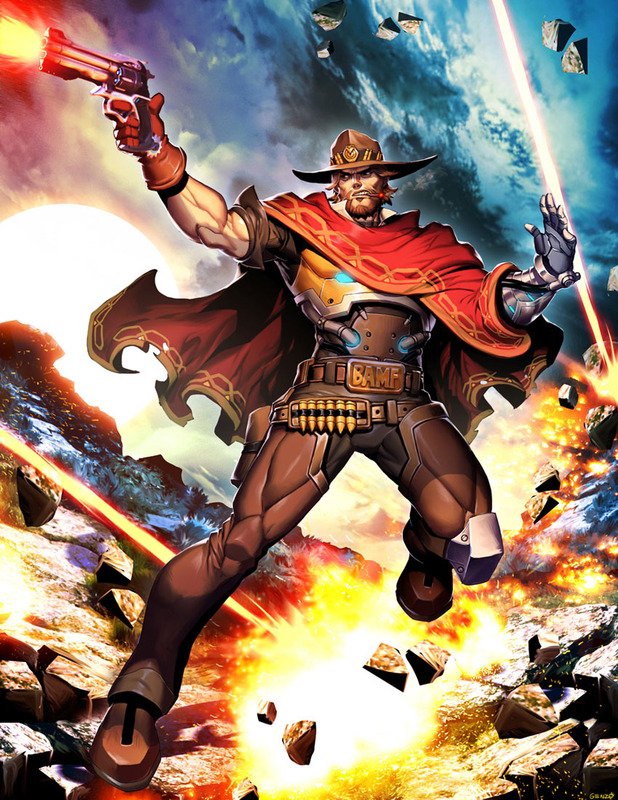 Jesse McCree is one of the initial 21 playable characters in Overwatch (2016) and a 37 year old Cowboy-like “Offense” class character who uses a Peacekeeper as his main weapon. McCree had already made a name for himself as a member of the notorious Deadlock Gang, which trafficked in illicit weapons and military hardware throughout the American Southwest, when he and his associates were busted in an Overwatch sting operation. With his expert marksmanship and resourcefulness, he was given the choice between rotting in a maximum-security lockup and joining Blackwatch, Overwatch’s covert ops division. He chose the latter. Although he was initially cynical, he came to believe that he could make amends for his past sins by righting the injustices of the world. McCree appreciated the flexibility afforded to the clandestine Blackwatch, unhindered by bureaucracy and red tape. But as Overwatch’s influence waned, rogue elements within Blackwatch sought to bring down the organization and turn it to their own ends. 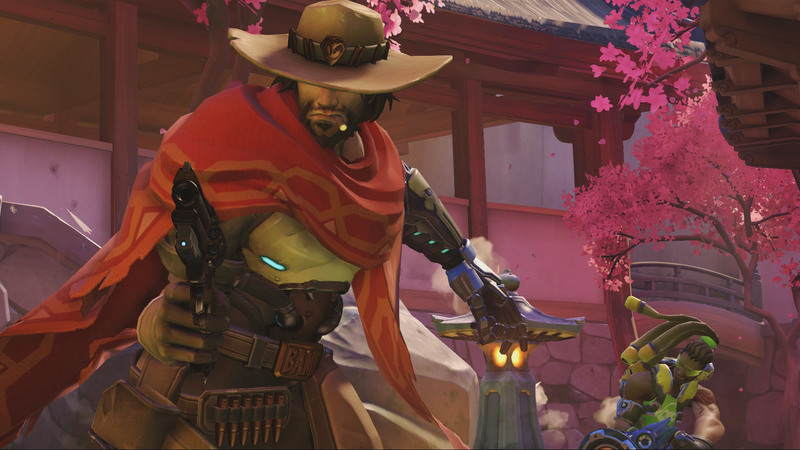 Wanting no part of the infighting, McCree set off alone and went underground. 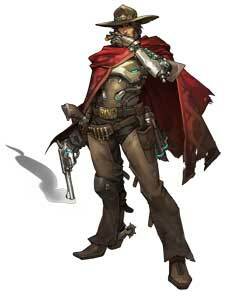 He resurfaced several years later as a gunslinger for hire. 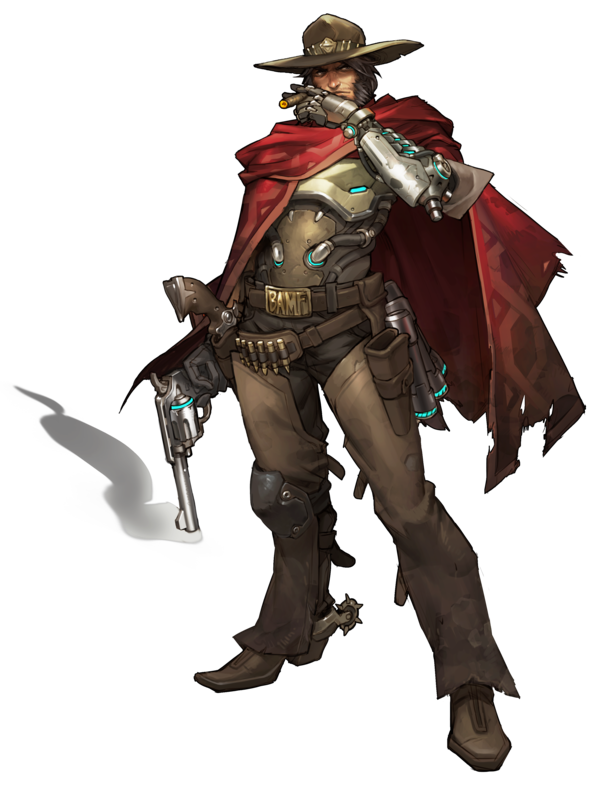 But while McCree’s talents are sought after by parties great and small, he fights only for causes he believes are just.